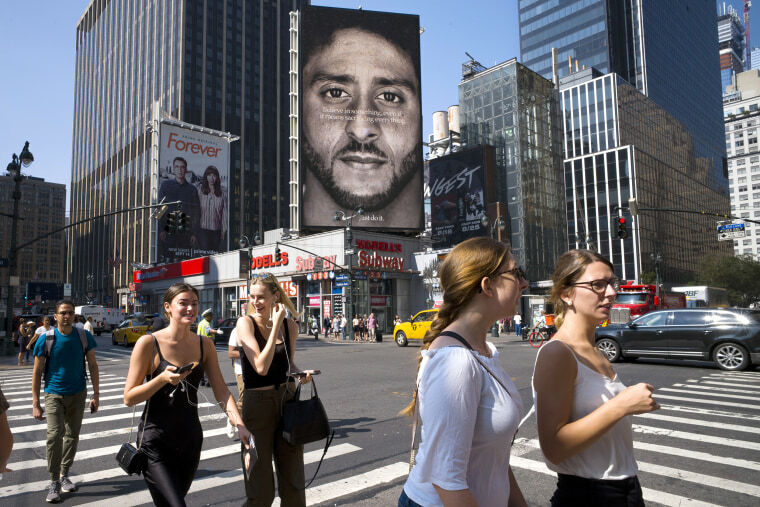 Officials in the town are upset with Nike's decision to use former San Francisco 49ers quarterback Colin Kaepernick in an ad campaign. Beauregard, a former state trooper, is upset with Nike's decision to use former San Francisco 49ers quarterback Colin Kaepernick in an ad campaign. The town's administrator didn't know of any specific Nike products that municipal departments are currently using. The American Civil Liberties Union of Rhode Island said the town could be held legally and financially liable for violating the First Amendment and told members of the council: "Just don't do it." The mayor of a New Orleans suburb recently rescinded a similar directive based on an attorney's advice. Kenner Mayor Ben Zahn, a Republican, had issued a memo saying that Nike products could not be purchased for use at city recreation facilities. It also required the parks and recreation director to approve all athletic purchases by booster clubs using the facilities. The order prompted a protest that included three members of the NFL's New Orleans Saints and hundreds of others. And Mississippi's public safety chief said over the weekend that state police would no longer buy Nike products, saying that Nike doesn't support law enforcement and the military. It wasn't immediately clear how much gear the state police agency buys from Nike, though the department has bought shoes, shirts and tactical training uniforms from the company. Republican Gov. Phil Bryant lauded the decision. A Nike spokesman said Monday he couldn't comment on the various governmental actions. Beauregard said he proposed taking a stance in North Smithfield because he feels Kaepernick has been disrespectful toward police. He said it's not about kneeling during the anthem. In a statement released after the vote, the ACLU of Rhode Island described the resolution's passage over the objects of residents who opposed it as "shameful." "By attacking the right to peacefully protest and refusing to recognize the racial injustice prompting it, the resolution shows a disdain for both freedom and equality," the statement said. "Rhode Island is better than this."